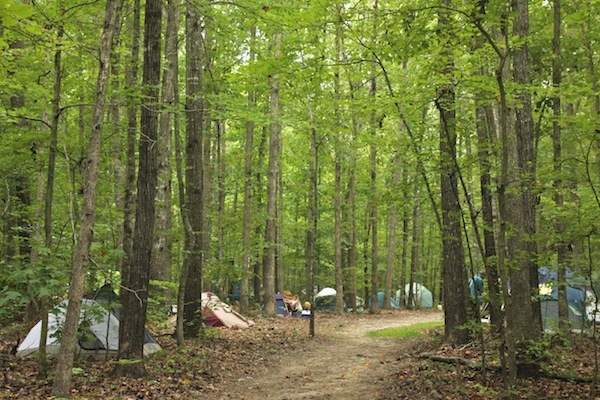 Camping is part of the basic registration and work exchange options. 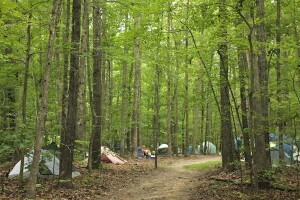 You will need to be entirely self-sufficient in your camping equipment. You will need a tent, sleeping bag, and any other sleeping pads, air mattresses or other camp accouterments you might need. There are showers that will have soap, but you should bring your own toiletries (including insect repellent if you’re sensitive) and towel. Other things like flashlight, rain gear, mixed-season clothes and good-natured flexibility are also good items to bring. Earplugs will probably come in handy. Other things to keep you comfortable like a back-jack, yoga mat, or camp chair might also be nice. Plan ahead!